Last week, the first half of the school year came to a close. 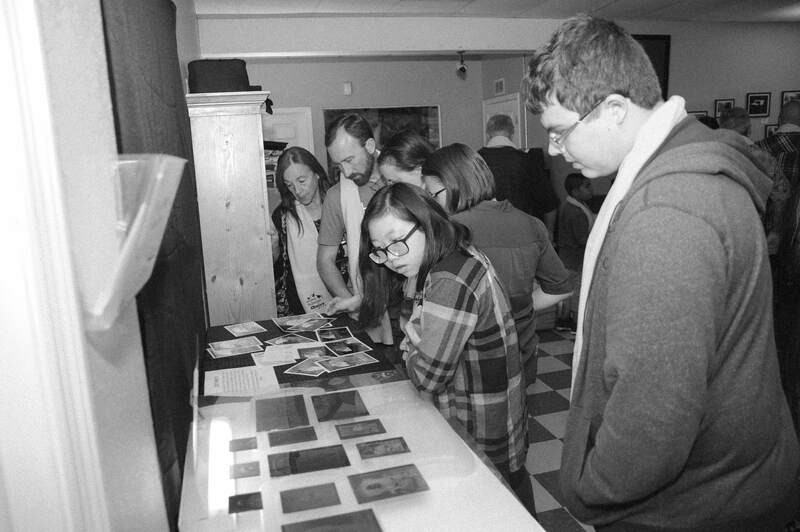 What that meant for me and my twenty photography students was that it was time to show their friends and families what that have been doing for the past eighteen weeks. 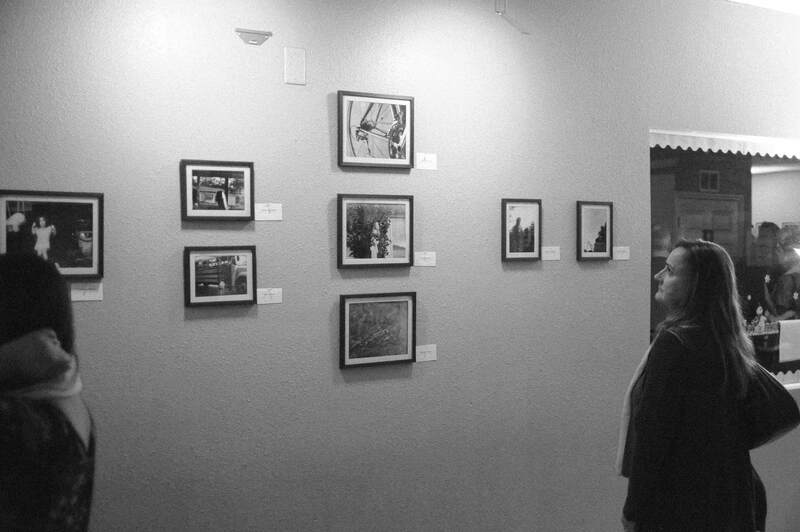 Every year, I put together a small photography exhibition of my film photography students’ work at our school. As most film shooters can agree, it’s so much nicer to see and hold a tangible image. The printing process, both through enlarging and digital scanning and printing, is not a step I like to skip over when it comes to the club. 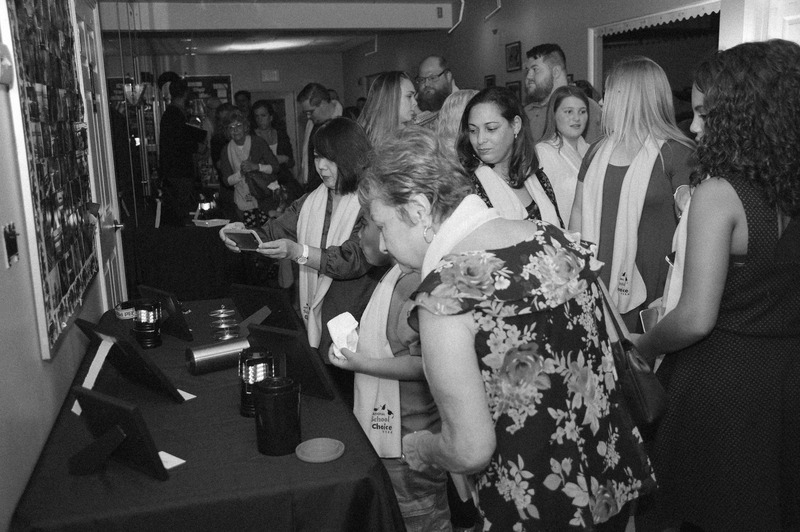 We get a little dressed up, display our gear and our images, and talk to our guests about our processes and experiences as photographers. It’s always held the week before we get off for the Winter break, and something about that makes the environment a bit cozier and more intimate. Every year is always better than the last, although I am not sure how it can get much better. Although, I do try to add a new element to the club each year to make it better and a bit more unique from the last. 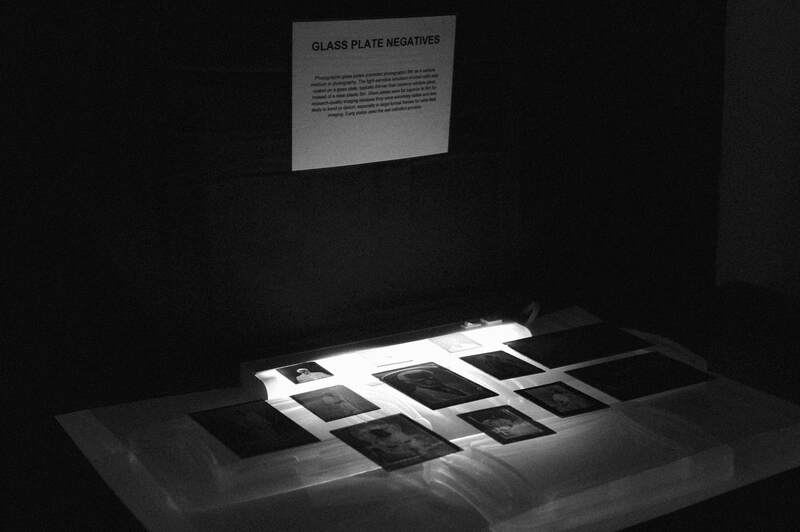 This year, we were able to add a darkroom within the school to our program. In addition to this, I also changed up my instruction a bit as well. 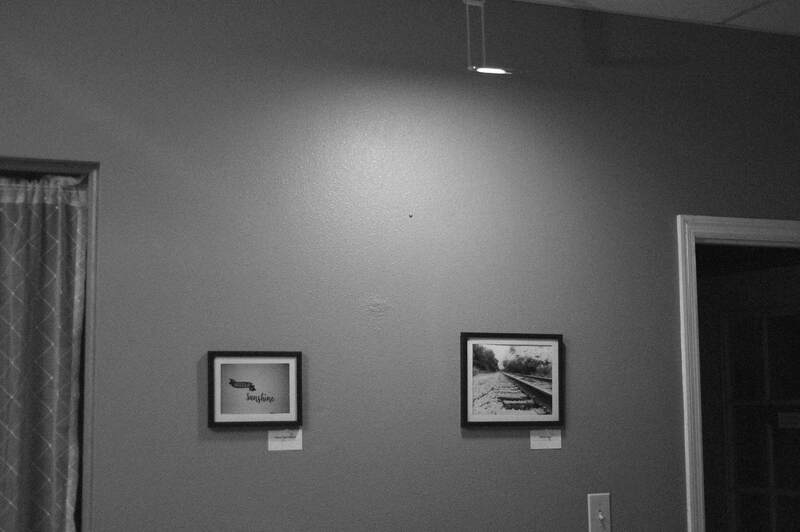 In years past, I started my beginner students with point and shoots, however I decided this year that everyone was getting an SLR. The images, the crowd, and the vibe of the evening did not disappoint. This year, I was lucky enough to have two assistants help me run the club. These two now-high-school students are past students of mine that came back every Wednesday evening to donate their time for the club. Not only are they extremely helpful but have become pretty darn good photographers, too. Without them, my job would not be as easy, that’s for sure. On the two days leading up to the event, we spent a bit of time preparing for the event. 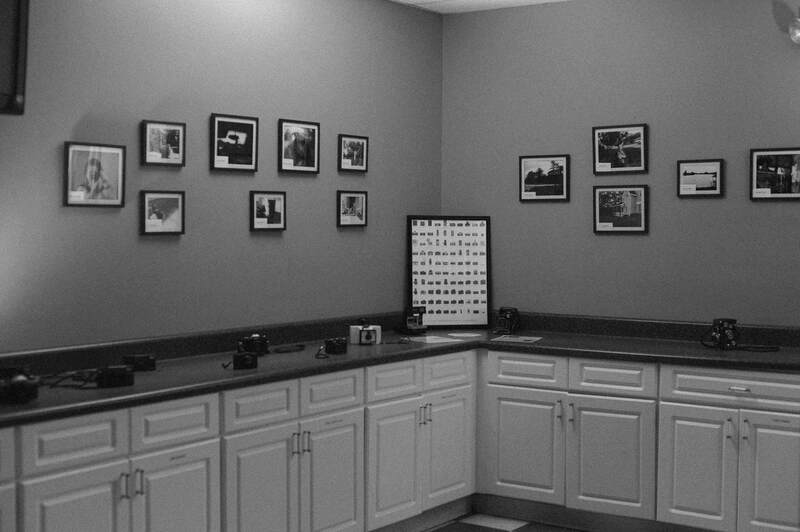 We gathered all of the darkroom prints, placed them in individual folders to go home with the students, printed some digital copies for display, made name cards, put together some gift bags, hung photos, mood-lit the space and decorated accordingly. At about a quarter-to-seven, my students with their friends and families started filing into what is essentially our all-purpose room. 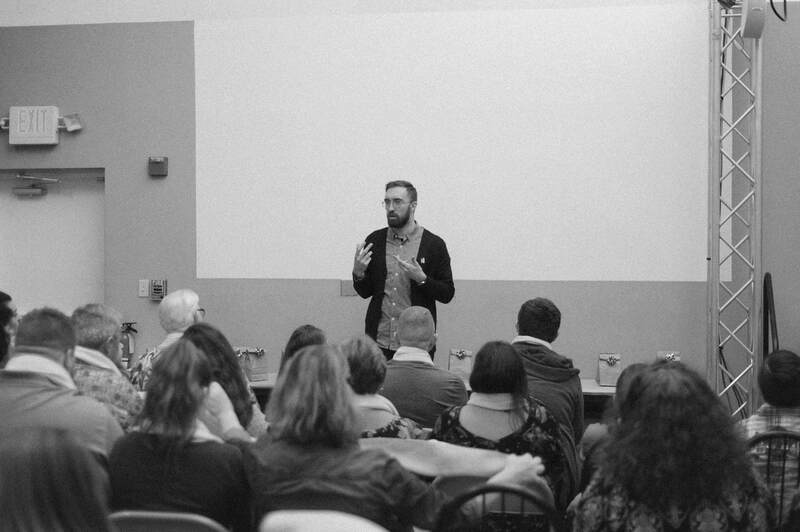 When seven p.m. rolled around, I gave a little talk on the status of the film world as I know it, basically just explaining the fact that there is a pretty big, and very passionate, close-knit community of die hard film enthusiasts that are keeping the craft alive. 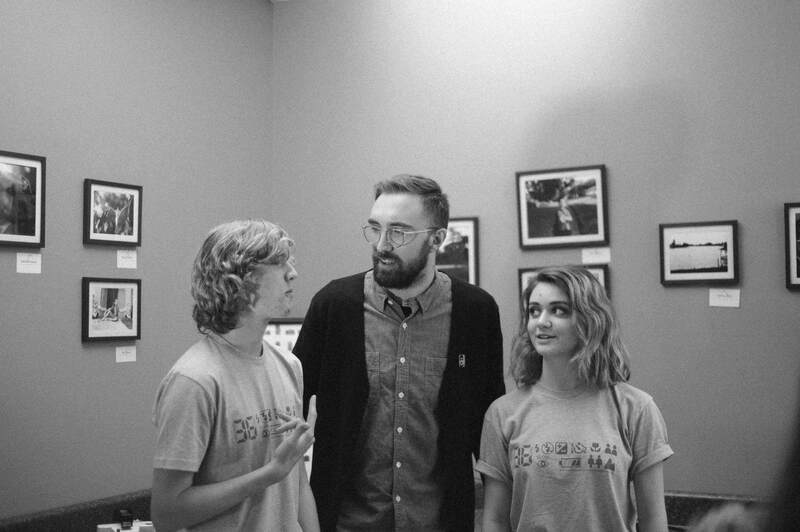 Not only that, but that this community is ecstatic that these students are shooting film and support us specifically and individually. And that due to this enthusiasm and the people within the community, this club and event is all made possible. 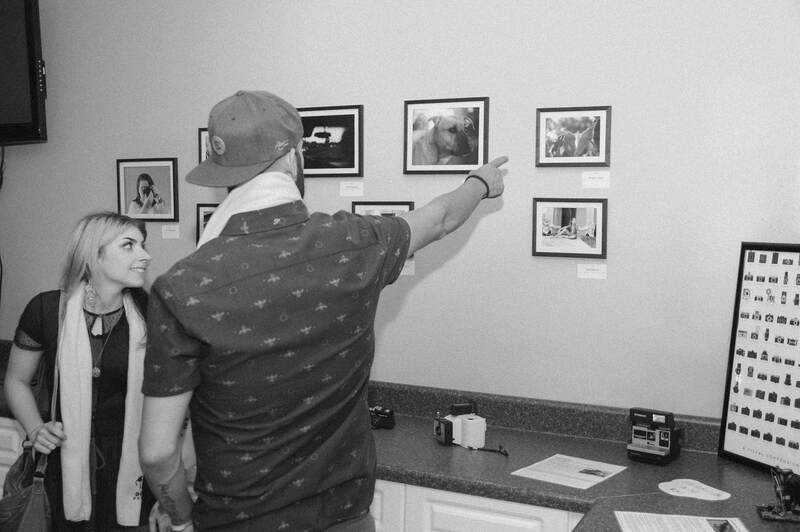 Thanks to the cameras we use donated from the Film Photography Project and the gifts that the kids got to go home with from Shoot Film Co., this event truly comes together. 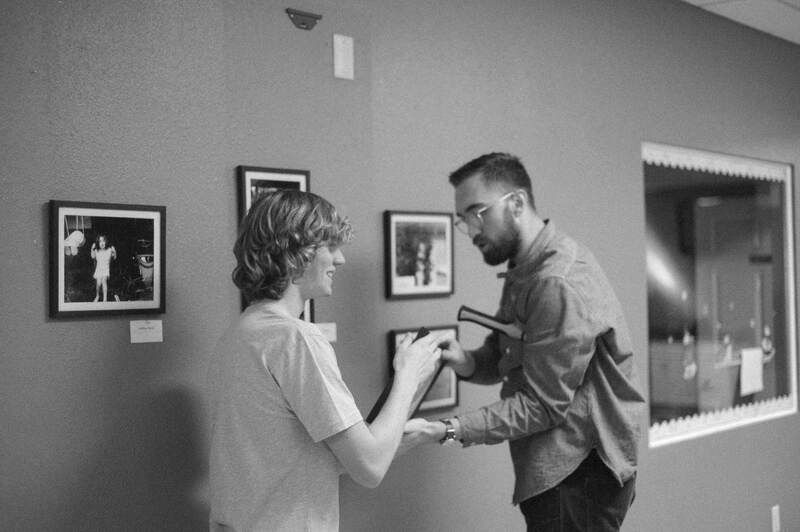 In addition to that, my administration is extremely supportive of what I do and I also have a pretty good support system made up of my closest friends who also shoot film to come out to check out the kids’ work and really make the kids feel good about what they do. 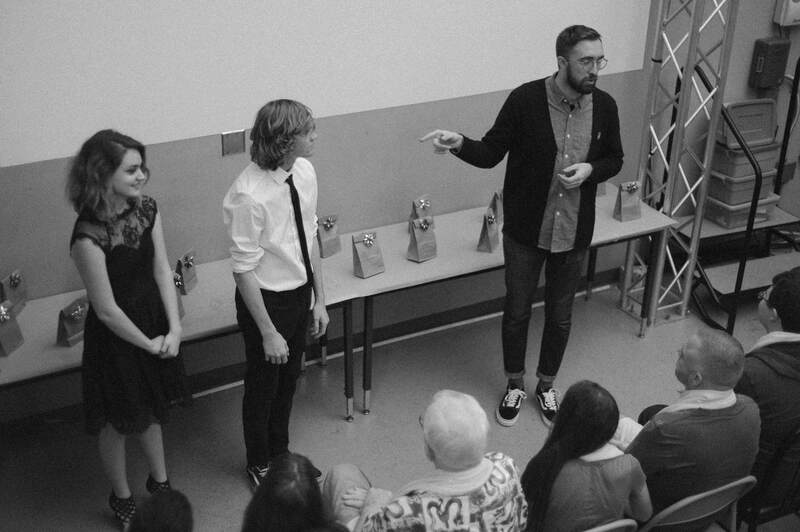 I just want to make it clear that even though I am the one directly instructing and interacting with these students, it takes the village of film shooters to make this what it is. 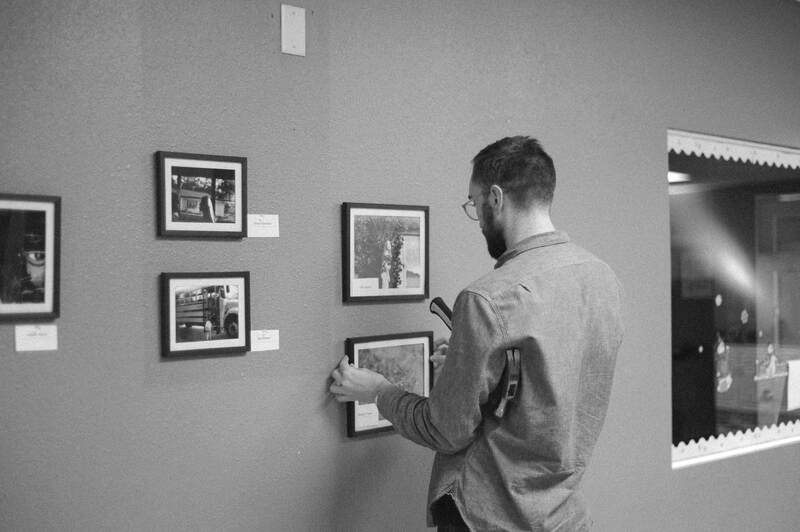 After making a short introductory speech, guests enter our gallery hallway which is lined with photos, and sprinkled with cameras, developing materials, and other things to spark conversation and questions from our guests. This is where parents and students both excitedly search for where their photos are located, take some pictures together, eat some cookies while I usually I get to talk to some of the families and tell them more about how great their kids are simply for being a part of the club and what I love about their work specifically. 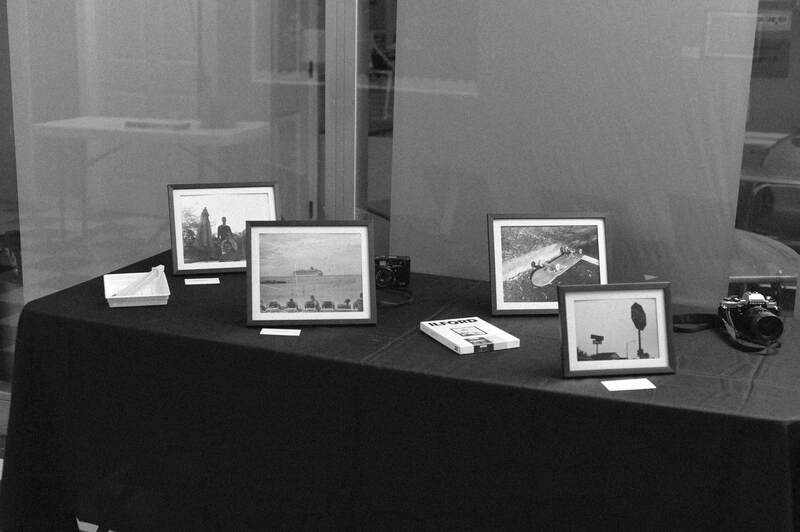 We also set up a couple of neat displays, one being of some old glass plate negatives that one of my coworkers picked up for me at a yard sale a few years back. It’s a cool way to let people see what film was before film was….well, film. 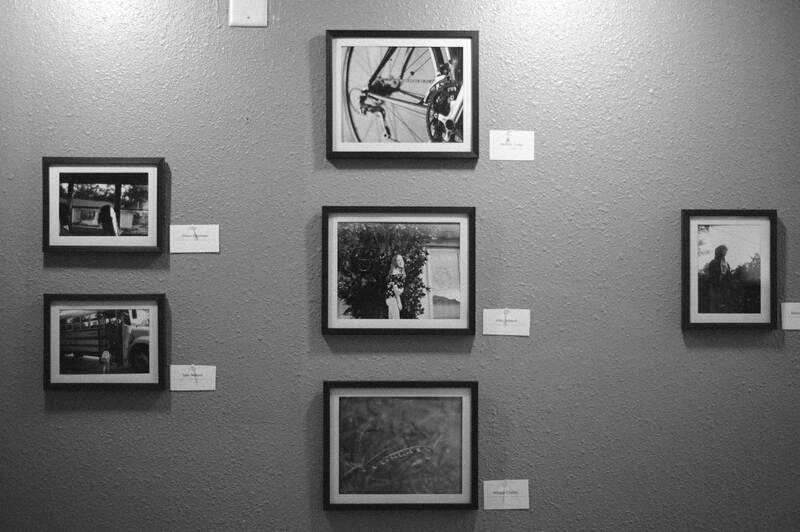 Next to these, we also display some of our darkroom tests prints to show the guests parts of the process that may not be regularly visible in a final presentation. It gives great insight to the fact that this is a process that takes a lot of trial and error and that mistakes are not only commonplace, but are expected to occur in order to make us better at our craft. 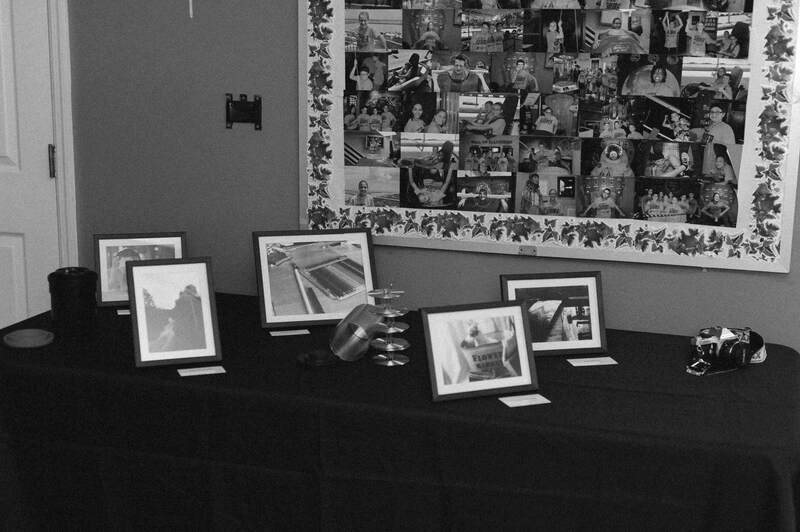 While students and parents walk around, admire photos and take photos of their young photographers in front of their work, I quietly peruse the space with one of my close friends to choose five photos that will receive recognition in the form of a certificate when everyone returns to the the seating area. 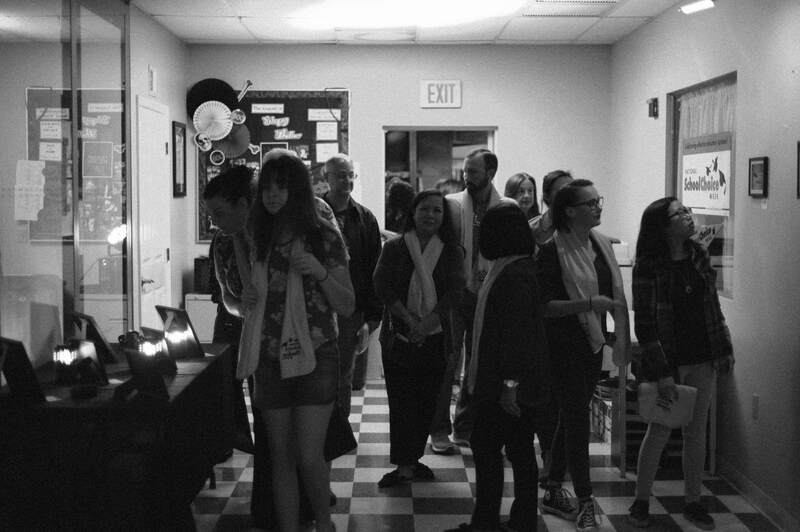 As things start to wind down, everyone eventually heads back to the all-purpose room where students are called up individually to receive their gift bag and darkroom prints. 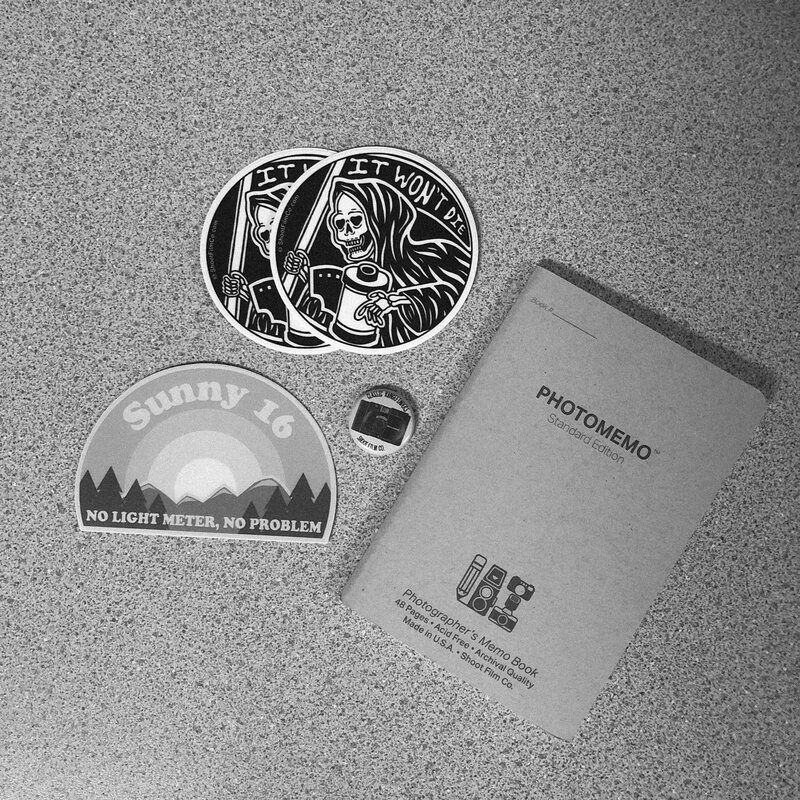 Gift bags include a few film-related pieces from Mike Padua of Shoot Film Co: stickers, buttons, and notebooks. 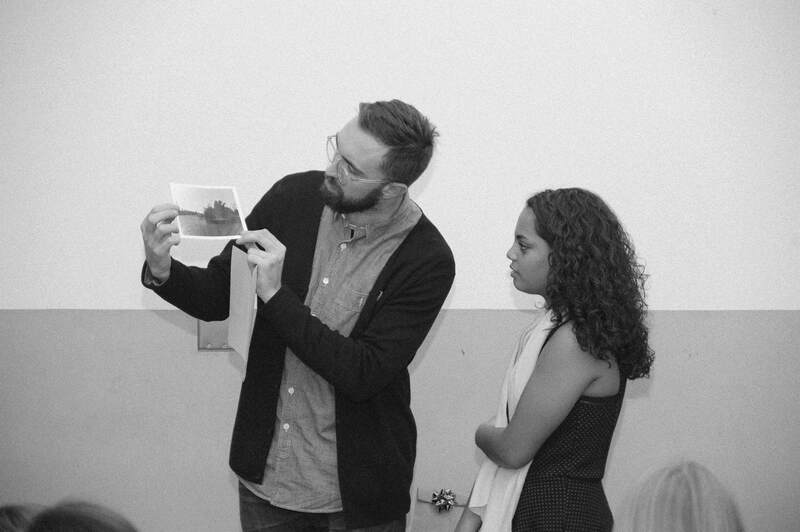 This time also gives me a great opportunity to quickly speak and compliment (maybe embarrass, too) the students personally on their work as I show their darkroom prints to the audience. After all students receive their things, I close things with a thank you to not only the students, but also to their parents who support their children and their artistic interests, something that I think schools could all use a bit more of. At this point, I usually talk just enough to make myself cry because I am so dang proud of these kids. 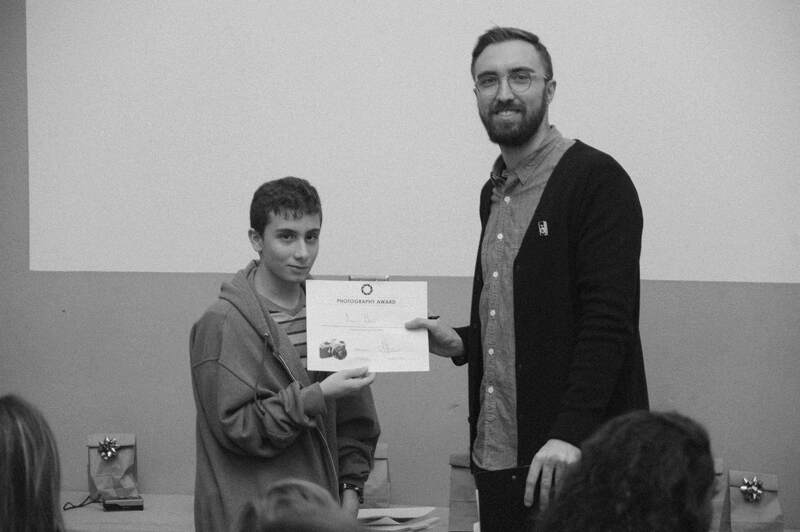 But this time, I made sure to cut the speech just short of that to wish everyone a great holiday and to give a thanks to the kids for allowing me to be a part of their every Wednesday just to experience and appreciate the photographic process together. All images taken by Nick Anatala. Fantastic! I think the kids will always remember this aspect of their school experience, no matter what they do in life. 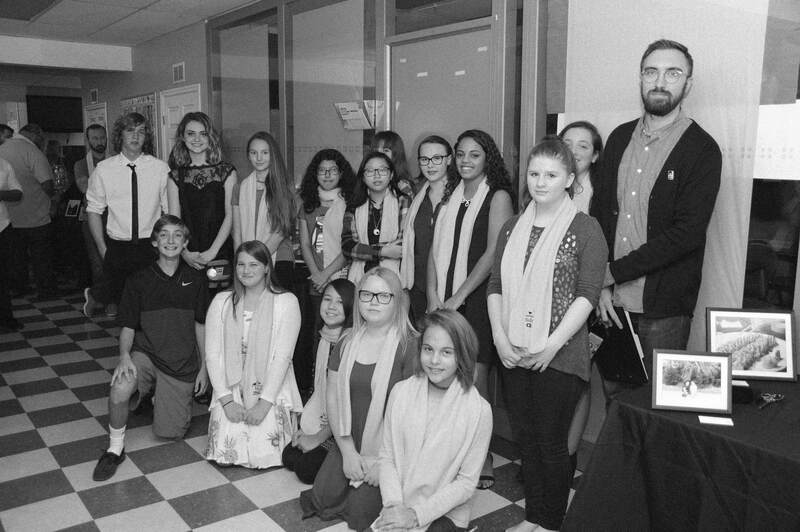 Kudos to you and your students! Make sure to forward it to the powers that be as an update for all of your assistance!